ERP systems are now more robust, complex, and helpful than ever, with feature lists that continue to grow and expand. 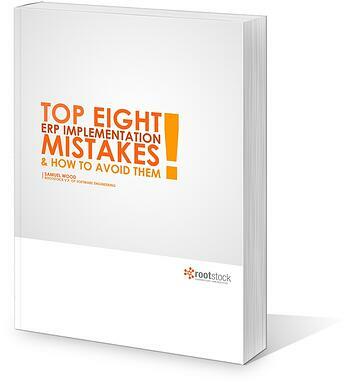 A big mistake many companies make is not utilizing their selected ERP system to its fullest potential. Ensure that you and your team at the company fully understand the program, are asking lots of questions of the vendor, and know how to apply the ERP system to your business. One of the best ways to get the highest ROI on an ERP system is to use every feature in the software, leaving no stone unturned in the program or your business processes. There are many different ERP systems available to you, each with different strengths and focuses. Once you have clearly defined your company’s unique needs and priorities (see point 1), set out to find an ERP system that best suits you. There won’t be a ‘perfect fit’ as each manufacturing and distribution company has its own business model but there will be a system that satisfies most of your needs. Once you select a few ERP systems that you believe best fit your company, take your concerns to the software vendor. Be upfront about your needs and see how they respond – are they willing to work with your company? Have they worked with a company like yours before? Do they have a good wealth of knowledge in manufacturing or distribution? Don’t just take their word for it – ask for references and a list of current customers. Make sure that they are equipped to handle your business.